I noticed there is very few info on this plant not just on this forum but everywhere. Who is growing it? Is it more cold hardy than jackfruit? What about resistance to pathogens? I live in Italy in a 9b zone, but I think our winter is longer than USA, so probably like 9a even if temps are 9b. I just got some seeds from India and I am planning to put some in the ground. Any success stories in similar locations? I'll start with my experience. Just got the seeds from harimnair2001( awesome guy super friendly) and many arrived already germinated. I decided to try sowing some directly in ground, since I don't know the real cold hardiness of these I put them in the most sheltered locations I had. It is surrounded by two walls delimiting the garden, that should further raise temps. The whole setup should make it easy to protect in the winter while still young. The soil below have been replaced with some kind of gritty mix with 50% pine bark, 20% perlite, 10% pomice and vulcan rocks and the rest is regular soil. After around 50-60 cm there is the regular soil. I am growing mine in Full Mexican Sun , but water every 2 days . Doing fine . Thanks Luc. So it's an heavy drinker. Does it grow fast the first year? The seedlings are quiet drought tolerant. No need to water. Thanks! How long from germination to sprout? Do you know if it is more cold hardy than jackfruit? Germinated seeds will soon come out of soil surface. Wild jacks are definitely hardier than Jacks and are very fast growing. I had many seedlings Last winter died the last one. Temperature minimum last winter 5 degree celsius I think you need to grow in a contsainer first and protect them during first winters. Thanks for the precious info! Well I have many germinated seeds, no harm in trying. Will keep 5-10 in container to try again next year. luc, could you post a picture of your plant so i can try better to ID one we have in hawaii... im not certain it is, but i think its an a. hirsutus. must be almost 20 feet tall and no sign of fruit yet.. I bought a small tree from Kerrie Mac' It was blown over in Cyclone Yasi , and took a very long time to regrow . Recently topped mulched and fed . Have had no fruit from it yet . Does it change shape with age? The young foliage looks nicer with the 3 pointed shape. Sorry , my images are of A. rigidus , a very similar sp. It has not fruited for me yet . Here are the seedling growing. The plastic cup is to cover from direct light in peak hours. 2-Some between Calla flowers to cover from direct light, too bad the Calla is drying from too much heat, so kinda pointless. One of them is sprouting two plants, is it normal? Out of 20 seeds only this did it. My top performer in a bag in house, around 15 cm. The top performer in the ground is around 10-12cm and it's the one where I used very light potting soil, the same mix I used to germinate them. So don't do the same mistake as me if you plan to sow directly in the ground, use good starter soil. Artocarpus hirsutis: Not seen growing in beyond 16 degrees latitude in the Southern coastal and adjoining plateau of tropical India. It will not tolerate less than 60 degrees F. It was a non cultivated tree found wild in the woods and forests. Propagated by the wildlife mainly by bats, monkeys, squirrels and birds. Because of it's high quality wood and demand most of the old trees have disappeared. It is a VERY SLOW growing majestic tree. The unripe fruit is green and is skinned and boiled and preserved in brine for later usage in some kind of curries. You need a hot and humid tropical and 'woody' environment. In your zone 9a you have to build a huge green house with regulated high temperature and humidity throughout the year.. I have been travelling twice a year to those areas in India for the last 50+ years. It's fruiting season is April to June. About 6 years ago while I was visiting India I carefully dug up a 9" seedling from under one of our big A h tree and transplanted about 200 feet or so from the river bank (salty backwater) in our family estate. It is about 7 to 8 feet tall in last March I saw it. Probably it will take another 15 years or so to fruit unlike it's cousin Jack! I will be a centenarian then! I have recommended few horticulturists in that region to make available some grafted trees. Will find out soon during my next visit what happened. Good luck Signor. It is slow growing, indeed. Since the last update 1 month ago it has grown probably another 5cm and is around 17-18 cm(top grower) now, against 45cm of a jackfruit in 1 month(top grower). The fruiting time and cold hardiness is not what I have been told, they told me it fruit in 5 years and is more cold hardy than jackfruit and can survive -2/-3 degrees. Hari, Can you comment on this? Quite an opposite. 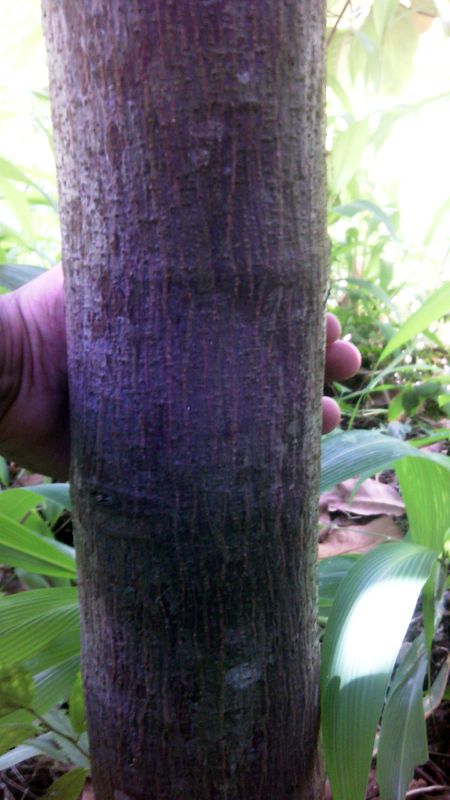 A. hirsutus is one of the fastest growing trees out there. One in particular I have, gains about 1 foot in height every month once settled in ground. Don't know where you people are pulling this anecdotal cold hardiness "facts", but regions of South India where it grows never experience temps below 10 C ( 50 F). I can't speak to its cold hardiness, but it's actually one of the faster tropicals for me. Around here, with daytime temperatures usually in the low 70s F in the summer, my wild jack plants are putting out a new fairly large (hand sized) leaf each week. (Well, the larger ones are -- the smaller ones are slow growing.) That's pretty good for a tropical. I doubt it could survive the winter unprotected here, but I don't plan on finding out. If it's as hardy as normal jackfruit, I'll be happy. A. hirsutus is VERY FAST growing. It will grow more than 21ft in 3 years. They will grow at 19 latitude in coastal Australia and handle down to about 5c minimum in places like Mission Beach. When there is a choice of which Artocarpus to grow keledang and pedalai have better fruit and keledang can be kept small. 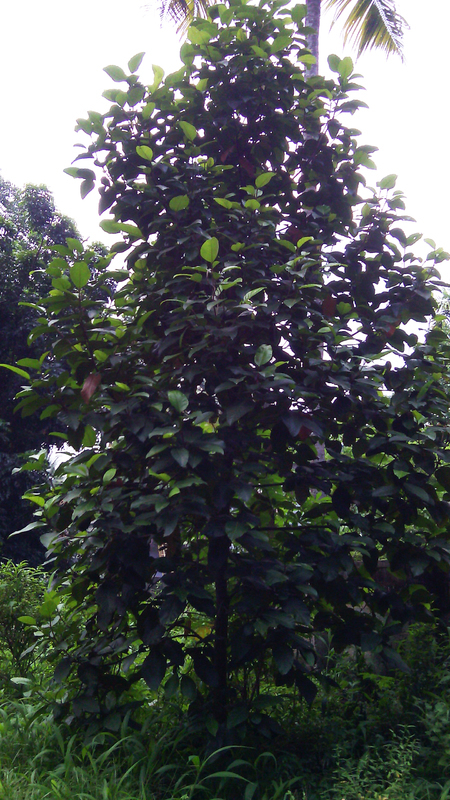 If one of these species gets chopped down or even jackfruit for that matter regrowth foliage has juvenile leaves. 3 year old Wild jackfruit seedling. Seem a lot of different information. I guess we'll see about cold hardiness this year, as I have several seedling in the ground. Too bad if they don't pick up the pace, the experiment will be quite useless since most of them are a little more than weed and will stand zero chance, wasn't expecting this. Woa, that's huge. When do they start picking up the pace?After one year? Actually no one ever plants A. hirsutus in its native range (Western Ghats). Seeds sprout naturally during the Monsoon (June - August) and will get some more rain water during November - December. The seedlings will remain with 4-6 leaves till the next Monsoon. Then they suddenly pickup the pace. In June 1985 the Livestock Research Station in Tiruvazhamkunnu in Palghat ( now called Palakkad ), Kerala initiated a field experiment planting eight fast growing multi purpose trees including Artocarpus hirsutus. Each of the eight species were planted separately in a lot of 20 m x 20 m and at 2 m x 2 m from each other. In October 1993 the mean height of the Artocarpus hirsutus were 5.5 m and the age of the trees were 8 years and 6 months. Is that of Areca palm seedling in the back ground of the second picture? Is it missing in the background of the accompanying first picture? I have planted in zone 13 in Latitude 13 degrees 17 ' 09" N and 74 degrees 44' 40" E in ideal humid, hot tropical monsoon climatic area, two ( not one as I mentioned before ) seedlings of A. hirsutus 6 1/2 years ago. They are about 10 feet tall with a diameter of about 4 inches. At the same time I have planted two A. altilis, one A. camanci and 4 A. heterophylus. Most of them are about 20 feet in height and already fruiting. A. hirsutus seedlings will probably fruit after 15 to 20 years. One of the two A. hirsutus ( I have to find during my next visit where the other one is ) my brother planted about 45 years ago is about 50 to 55 feet in height and about 12" in diameter. It started fruiting about 15 to 20 years ago. And the yearly temperature there is between 70 F to 90 F with high humidity and ample monsoon rain.